Have you ever been injured and the pain didn’t go away like it was supposed to? Have you ever felt pain for months on end without knowing where it came from? You’re not alone. This type of pain is called chronic pain, and some health care practitioners offer pain management to help resolve it—including many a chiropractor in Chattanooga, TN. Do you need pain management? Let’s look at the top reasons why patients seek this type of care. 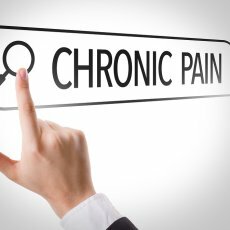 Before we go into why people get pain management in the Chattanooga area, we need to establish one thing: the definition of chronic pain. You see, you don’t really need pain management if your pain isn’t long-lasting. Pain that occurs one time and resolves (whether due to the body healing itself or some type of medication or treatment) is called acute pain. It comes and goes in a few days, weeks, or months. But chronic pain, well, it’s not so simple. When you experience the same type of pain on a daily basis for over 3 months, you’re experiencing chronic pain. And whether it’s minor irritating pain or debilitating, it can take a toll on your mental health—the American Chiropractic Association (ACA) claims that 30% to 80% of chronic pain sufferers will also become sufferers of depression. So if you’ve got constant pain in Chattanooga, seek pain management treatment. Chronic pain is often the result of an injury that didn’t heal right. Spine-health tells us that the reason pain is given a 3-month minimum to be defined as chronic is because that is beyond the term for normal healing of tissue. When the pain from an injury extends beyond the normal range of tissue healing—ie, 3 months—it is considered chronic. In fact, if pain continues after the tissue has healed, it may be considered a disease because the pain has set up a pathway in the nervous system. The most common reason to seek pain management is pain from a disease. Maladies like arthritis, osteoarthritis, fibromyalgia, and degenerative disc disease are all examples of diseases that don’t really ever heal. Arthritis causes indefinite inflammation in the joints, fibromyalgia causes a whole-body pain that is difficult to pinpoint, and degenerative disc disease means your spinal cord is slowly aging. Pain management can’t heal these diseases, but it can assist you in creating a lifestyle that doesn’t make the pain worse. It also attempts to lessen the pain to increase your quality of life, whether in Chattanooga or not. Chiropractic is useful for managing pain in the musculoskeletal system. Take degenerative disc disease. In this case, your spinal joints are slowly breaking down, leading to nerve pain in the back. If your spinal mechanics are off (ie, misaligned vertebrae) the pain will be worse. A chiropractic adjustment can correct the spine’s alignment, relieving pinched nerves. But chiropractic helps in other ways . In general, chronic pain is helped by chiropractic in that aligning the spine helps the central nervous system communicate better, allowing the body to heal itself. 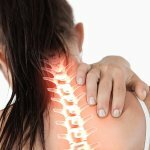 A chiropractor in Chattanooga, TN will develop a treatment plan for chronic pain based on the exact type of pain you’re dealing with. Are you receiving pain management? As you can see, pain management can be a breath of fresh air for chronic pain sufferers in Chattanooga. Chiropractic is one of the ways to treat chronic pain. It all adds up for a lightening of the burden of chronic pain in our society. Are you being given pain management? 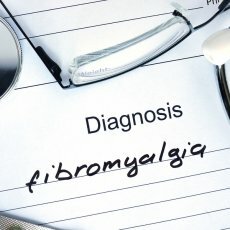 How is it working for you chronic pain? Let us know in the comment below—we love to hear about the experiences of our readers! Why are diet plans always so complicated? There are so many to choose from, so it’s difficult to figure out which is the right one for you, as opposed to which ones don’t fit your situation or are just scams. Making it worse, many diet plans seem confusing, stressful or hard to follow. Don’t lose heart — you can find a Chattanooga diet that will work for you. And you don’t have to do it on your own. There are knowledgeable professionals who will help you come up with and follow a diet plan, making it a better fit for you and easier to stick with (more on this later). Do Diet Plans Actually Work? More often than not, you probably hear about people who feel like they can’t lose weight because the diet plans they’ve tried haven’t worked. Maybe you’ve found yourself in the same situation. A big part of the problem is that there are many diet plans that are unrealistic, so you can’t stick with them long enough to see results. For instance, they might expect you to stop eating a whole food group or to feel ravenously hungry all day by greatly restricting your calorie intake. You might want a diet plan to lose weight fast, but quick weight loss can often be extreme and unhealthy. Generally, these fad diets cause you to gain the weight back as soon as you try to go back to eating a normal, healthy amount of calories. Those extreme and unrealistic kinds of plans don’t really work in the long run, but plans that encourage more of a slow lifestyle change and lean on scientific and medical advice can work for you. Can You Lose Weight Without a Diet Plan? You might wonder if you really need a diet plan for weight loss in Chattanooga. Sure, there are people who seem to get rid of pounds without following one or by following the classic advice of burning more calories than you take in. But that’s not enough for most people. Most people struggle with which foods to eat and which steps to take to lose stubborn weight. A reliable diet plan can guide you in how to lose weight according to your own body and lifestyle. How Do Diet Plans Help You Lose Weight? A good diet plan will give you guidance. It will help you understand more about your body’s processes and what you need to change. It will give you guidelines on what you should eat and when, as well as which foods you should stay away from. Diet plans usually give you a timeline of foods or meals you should eat for a certain length of time, which can change throughout the plan. It might also encourage other factors, such as supplements, moral support and exercise. How Do You Choose a Good Diet Plan? There are some signs that show you’ve found a legitimate diet plan that could actually help you. First of all, you want to find a plan that was created by real health professionals, such as doctors and nutritionists, instead of ones designed by inexperienced people or without a clear creator standing behind the program. That way, you’ll know you’re getting safe and medically backed advice. Also, choose the ones that encourage a lifestyle change that will help you throughout your life instead of ones that make unrealistic promises or seem like they would restrict your diet or lifestyle too much. How Do You Know a Diet Plan Is the Right Fit for You? If a diet plan doesn’t fit you, it might not be successful and might actually waste your time, money and efforts. It’s important to choose a plan that you think you’ll be able to stick with – one that will fit your lifestyle and one you could see yourself committing to for the long-term. In addition, the best diet plan is one that is tailored to you. When professionals can talk to you about your health and your situation and then fit their plan to your needs and goals, you’ll be more likely to succeed. Should You Add Exercise Into Your Diet Plan? Most health experts agree that weight loss is more effective when it combines diet and exercise. Nonetheless, some diet plans vary as to when you will incorporate the exercise. Sometimes, the plan might want you to retrain the way your body relates to food first before overwhelming it with exercise at the same time you introduce a new diet plan. In other words, you might need to go through stages to change your lifestyle one aspect at a time. Is There Anyone That Will Help Me With a Diet Plan? You can get help with a diet plan from health professionals that understand the body and the processes behind losing weight. At True Weight Loss Solutions, our doctors customize their plan to your needs, based on your body mass index, your health situation, your lifestyle and other factors. They guide you in every step of the way, even helping you keep the weight off after you lose it. Is True Weight Loss Solutions a Good Diet Plan? Our weight loss plan has many of the qualities you look for in good, effective and healthy diet plans. It was created and is run by doctors who have extensive knowledge of the body. It encourages real lifestyle changes instead of gimmicks. And it guides you and supports you the whole time, instead of leaving you confused. Most of all, you can see the amazing results countless local people have seen when you look at our social media and testimonial pages. These results show you that the plan really works and has helped many people in real life. How Does True Weight Loss Solutions’ Chattanooga Diet Plan Work? We don’t even like to call our plan a “diet” because that often makes people think of those unhealthy diets that don’t work. Our plan is more like a healthy eating plan that encourages healthy whole foods without focusing on starving you or cutting out whole food groups. It is similar to low carb diet plans because we train your body to start relying on fat more than carbs for energy, but it is not an extreme plan. Since diet meal plans on their own often aren’t enough, we also include our own FDA-approved supplement formulas that naturally and safely provide extra fat burning, appetite control, detoxing and energy boosts to help you lose weight. We encourage exercise after your body has become accustomed to burning fat as fuel. Another aspect is the social support we provide through other people going through the journey with you. If you are interested in a safe diet created by doctors, try True Weight Loss Solutions. We will tailor our plan to your needs and goals to help you find success.